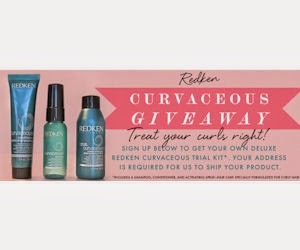 411 Freebies And More: Order a Free Redken Curvaceous Trial Kit! Order a Free Redken Curvaceous Trial Kit! 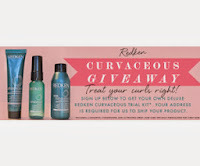 Like Redken to get a FREE Curvaceous Trial Kit! Each kit includes a free Redken Curvaceous Cream Shampoo, Redken Curvaceous Conditioner, and Redken Curvaceous Wind Up Reactivating Spray.